This twin wheeled range are based upon the TST range. Compact overall height is maintained. For use in harsh conditions and shock loading. 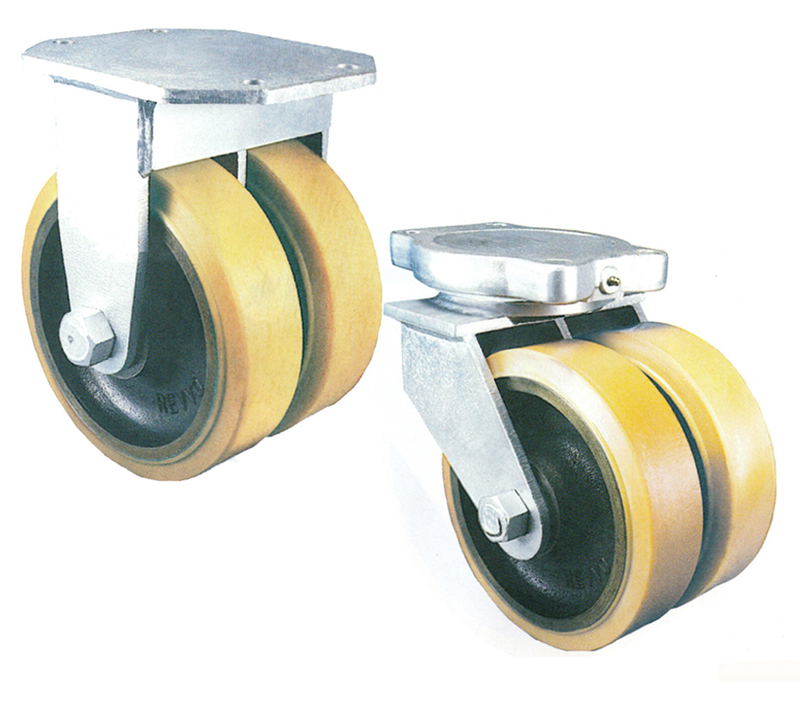 The polyurethane tyred wheels use Vulkollan polyurethane. Load capacities to 4675kg with a maximum towing speed of 6kph. A four station plunger converting swivel castors into fixed for straight line travel. Overall height is increased by 26mm. To order add the suffix 'D' to the catalogue reference. Available on all swivel castors in the 2ST range. A simple hand operated parking lock. To order add suffix 'W' to the catalogue reference.